At the DMS Tea Party event for the Gochūmon wa Usagi Desu ka?? 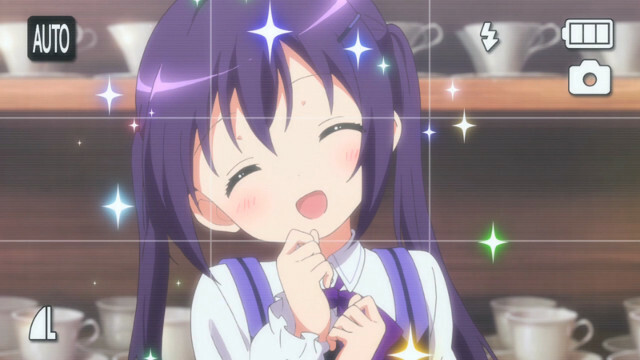 Dear My Sister anime special, two new anime projects were announced for the Gochūmon wa Usagi Desu ka? (Is the Order a Rabbit?) series. The first is an OVA (original video anime) project which will release in 2019. The second is a third season for the TV anime which will air in 2020. You can check out the trailer for the two projects below. Is the Order a Rabbit? is a manga series written by Koi and published by Hōbunsha in Manga Time Kirara Max. It was first published in 2011. The manga has inspired two TV anime seasons, an OVA, and a visual novel by 5pb for PlayStation Vita. 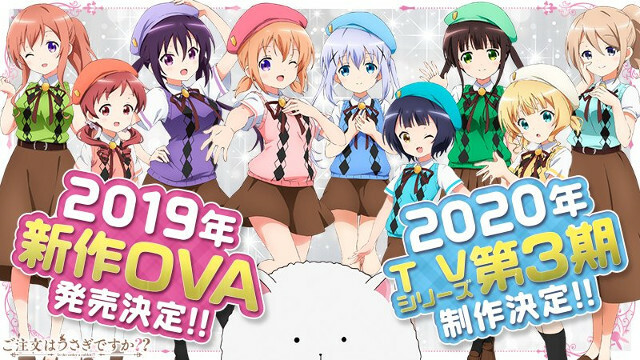 A second OVA is currently in the works as well as a third TV anime season. The first TV anime was produced by White Fox and aired on April 10, 2014 and ran until June 26, 2014 for 12 episodes. The second season was co-produced by White Fox and Kinema Citrus, ran for 12 episodes as well and aired from October 10, 2015 to December 26, 2015. Sentai Filmworks has licensed the first and second seasons for release in North America.